This year’s creative season feels like it’s been going on forever. Oh wait, it has. I stayed up late last night for the last time this year. 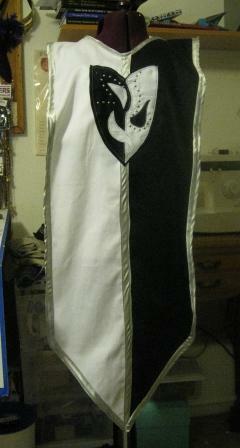 I am down to the last step or two on my friend’s tabard–adding detail to the emblem and stitching it onto the tabard. I think it looks excellent from about four feet away; any closer, and I can see that my seam lines are uneven. I blame my lack of a bias tape machine–working with slippery fabric does not bring me joy. But, the point is that the time of year when my craft bins and costuming closet section get cleaned, organized, and put away is finally here. I get to vacuum the whole floor without hefting a fully dressed S.A.R…A to one side to clean and then back again. I get to put all of my fabric away, without separating one pile for the next project and a half. I don’t have to lay my MA pattern binder on my desk, table, machine, floor, or ironing board to keep the page–it is officially on the shelf as of last night. I can go to bed at a decent hour, go to the gym, and play video games with my husband again. 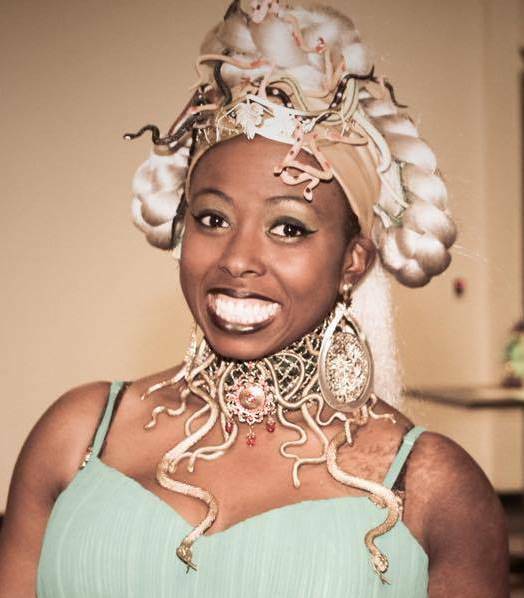 I have all but resigned to wear my masquerade ensemble to work on Friday, but if things continue as they have for the last two years, I’ll be up Thursday night with the perfect costume for the annual contest. I really hope I get talked out of that. Huzzah to the final week of the costuming year! Next Next post: Let the hibernation begin!